“Our vision for Cafe Nemo was to introduce a mixed, progressive cuisine— we like to label it ‘agnostic’ with Asian influences,” Anup Gandhi says. After having launched Bonobo (a restobar at Bandra) and Jamjar Diner (at Versova), Gandhi and partners, Nevil and Sahil Timbadia, launched Cafe Nemo in August 2014. 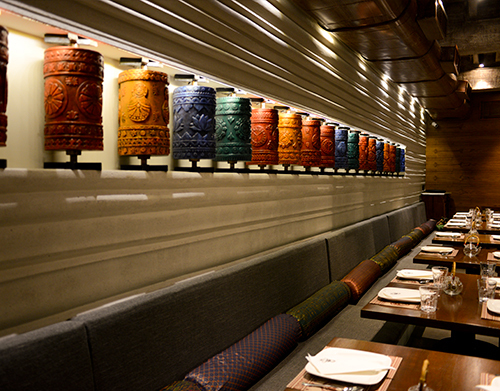 A dynamic eatery, it had enough quirkiness to keep all interests up and a food-and-drinks menu catering to the tastes of diners who, in Gandhi’s words, “are well-travelled now and have better awareness about global food standards and cuisines”. Tucked away into the otherwise unexplored corners of Worli village, Cafe Nemo derives its name from the adventures of Captain Nemo aboard his submarine Nautilus in Jules Verne’s book Twenty Thousand Leagues Under the Sea. Indeed, a spirit of adventure is what beckons you the moment you step into the cafe’s gallery-like whimsical space, housed in a 4,500 sq-ft bungalow. The interiors are done in shades of stark black and white, juxtaposed with bright yellow walls. Gandhi says, “While the idea was to keep the mood fun and playful, we also wanted to ensure that the interiors didn’t take the focus away from our progressive menu.” The first room has large windows at one end to let in bright sunlight, monochrome furniture and a wall that displays the brushes used in the fit-out with a bright yellow paint drip. In the second room, what grabs your attention is the chessboard-like flooring and an origami art installation on a wall panelled with small hooks from which hang either origami boats [created by a student from the Sir J J Institute of Applied Art], or tiny black pebbles, flowers or feathers. The bar area sports chalk art created by artists brought in from Gujarat. The last room is an acoustically-insulated space for gigs and private parties. “At Ankit’s house, the smell of delicious food was omnipresent. His mother’s family had come to Bombay [Mumbai] from Burma [Myanmar] decades ago, and the tantalising aroma of Khow Suey, that mouth-watering concoction of noodles, spicy curry and lots of toppings, was my favourite during parties there,” says Chirag Chhajer. Chhajer, 27, and Ankit Gupta, 28, are owners of Burma Burma, a 60-seat eatery at Fort, Mumbai, that’s been creating waves with its vegetarian takes on all foods Burmese since May 2014. The inconspicuous entrance of Burma Burma, with two dolls—similar to the Russian Matryoshka doll—mounted on either side, leads the diner through to a 1,600 sq-ft space. According to Gupta, “We commissioned interior designer Minnie Bhatt [who’s also done up Silver Beach Café and Nom Nom, Versova] to transform the interiors with a modern-day Burma inspired look and feel, keeping it contemporary yet subtle and restricted to a minimalist look.” Spanning a side of the seating area is a moulded wall designed and built by students of Sir J J Institute of Applied Art depicting Buddhist pagodas. A row of 18 wooden, brightly-painted prayer wheels form the centrepiece here. Another wall has been inscribed with a traditional Burmese prayer. Authentic Burmese parasols in vibrant colours, sourced from Mandalay, Myanmar, descend from the ceiling. The parasols are handmade using bamboo and cotton, then hand-painted and lacquered so that they can stand up to sunshine and rain. And while sunshine and rain is not what you would find here, these brightly coloured pieces do seem like clouds floating above the tables. When Yasho Sonthalia and Abhishek Goyal opened Bóveda in 2013, they wanted to provide guests an experience similar to what well-heeled clientele enjoy in pubs abroad. 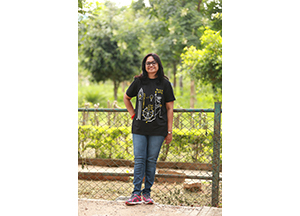 Sonthalia, who spent five years in Singapore, says, “The whole idea of opening our own restaurant came to us in Singapore; Abhishek and I were students there, and would often go out to party. Each time we came to Mumbai for a vacation, we couldn’t find places with innovative cuisines, eclectic drinks or lounge music.” And so the duo set about to launch a chic restobar with daily-themed music nights and a relaxed, unpretentious atmosphere. What does ‘Bóveda’ mean? Goyal explains, “Bóveda is ‘vault’ in Spanish. While planning the menu, our executive chef Saqib Duggal came up with interesting ideas of Spanish dishes. So we thought ‘why not start a Spanish-themed restobar’?” Sonthalia says, “We wanted the place to look like an old vault so that one feels secure and cut-off from the world.” The decor at the 2,500 sq-ft space at Andheri is minimalist, classic yet grungy, with artworks and installations. Wooden crate lamp shades with yellow old-school bulbs hang in the room and the plush leather armchairs in the lounge area, together with the low lighting and the bare brick walls lend it an industrial, warehouse-style feel.